Available across the globe, you can have access to GAUSS no matter where you are. Get help from our friendly experts. 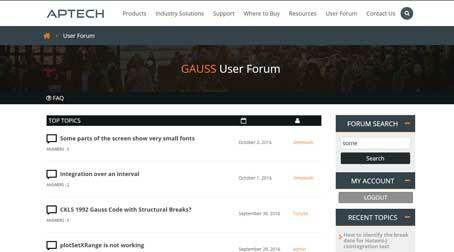 GAUSS is the product of decades of innovation and enhancement by Aptech Systems, a supportive team of experts dedicated to the success of the worldwide GAUSS user community. Aptech helps people achieve their goals by offering products and applications that define the leading edge of statistical analysis capabilities. © Aptech Systems, Inc. All rights reserved.